Your students already love them, why not use cootie catchers for a fun Valentine's Day activity. 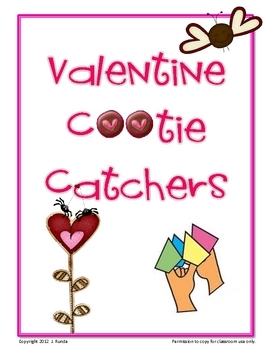 This file contains 5 different cootie catchers with a Valentine's Day theme. The file also contains a blank template for making your own cootie catcher (a perfect activity for test review questions). These would cootie catchers would also be perfect to give out as Valentines.